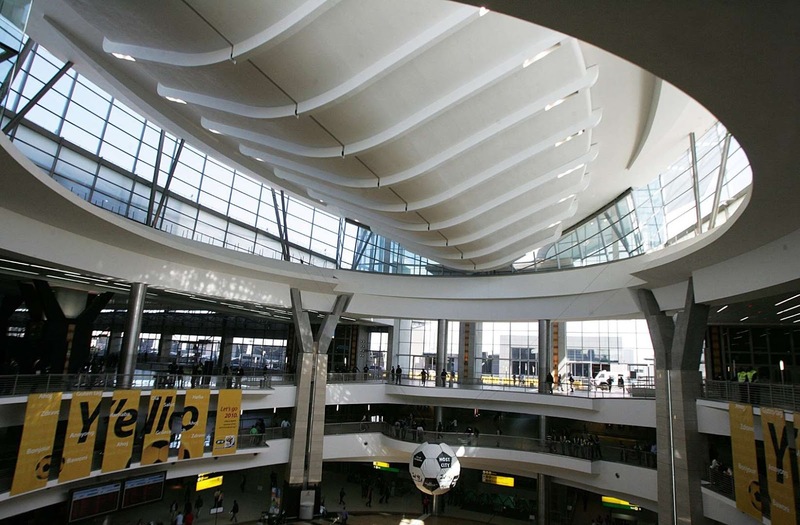 The Central Terminal building of the O.R Tambo international airport in Johannesburg after its inauguration by South African President Jacob Zuma on April 20, 2010. A five-year-old boy's stuffed animal snake was allegedly confiscated at the airport, leaving him "heartbroken," according to Fox News and South African newspaper The Times. The plush snake, which was a recent birthday from his grandmother, was taken at Johannesburg's OR Tambo International Airport Friday. In a series of tweets, the boy's mother, Nicole Fritz, showed an image of the toy in question and explained what happened as they were going through security. "This is the soft toy python taken from my son by @Airports_ZA . He is heartbroken," she wrote. "It was his fifth birthday present, given only last week, from his grandmother." She continued, "The justification from @Airports_ZA is that it is a replica but as you can tell only a half-wit would mistake it for the real thing. It looks only like what it is – a child’s plush toy." She further explained to the Times that her son was wearing the plush toy around his neck as they were approaching security, which is where officials told them it would not be allowed on the flight. "We were just so taken aback. We couldn’t believe it," she said. "It’s not a rubber snake. It’s a soft toy. People were kind of laughing around him. Nobody thought for an instant it was real. Nobody could think it was a lifelike representation." The airport gave her the option of throwing the snake away or checking it, but she says there was no time. "We had been waiting in the queue for a long time. We had very little time to make it to the gate," she said. USA TODAY has reached out to the airport for comment.